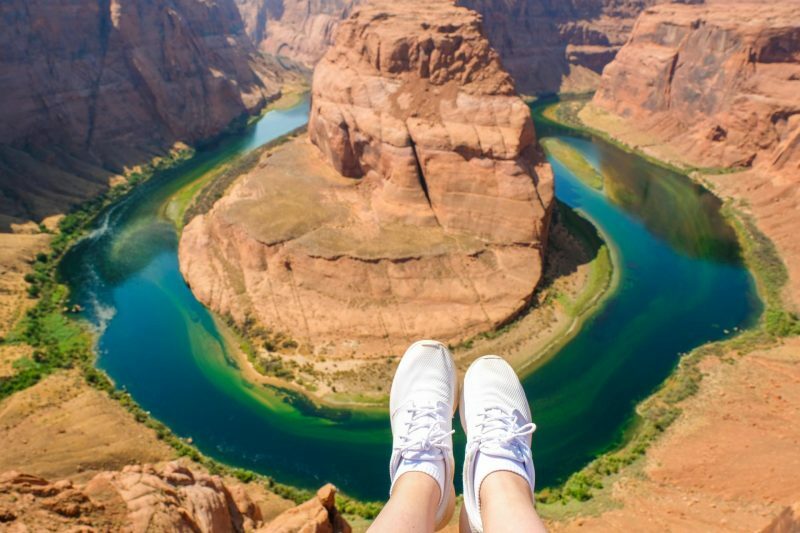 A road trip to Arizona cannot be complete without a visit to the two famous Arizona attractions: Horseshoe Bend and Antelope Canyon. Continuing on with my American Southwest series, I’m sharing with y’all the mistakes we made and the steps you can take to avoid doing the same. If you’ve heard about locals in Phoenix baking cookies in their cars, you’ll know that Arizona is HOT during the summer months. As someone originally from Taiwan, I’m pretty confident in being able to survive in the heat. I’m also the kind of person who hates inconveniences. My camera is heavy enough already and the less I need to carry, the better. That said, I decided to ditch my 2L water bottle in the car. WORST DECISION EVERRRRR!!!!!!!!!! When arriving by car, you need to first park in the lot then hike 3/4 of a mile to the actual rim. I figured it wasn’t too far and the way there wasn’t bad at all despite the sand. After standing out in the sun for photos however, my body just wasn’t having it. I felt light-headed, my vision started to blur, and each and every limb felt heavy as if gravity was pulling me to the ground. The trek back to the car honestly felt like the longest 15 minutes of my life. Since I was dying (literally) in the heat, we bounced early. And what a shame because this was at the top of my “things to do in Arizona” list. We didn’t even see all the different angles of the rim and what else Glen Canyon had to offer whatsoever. Major regret that I didn’t get to explore more of it. Lesson of the day? BRING WATER! 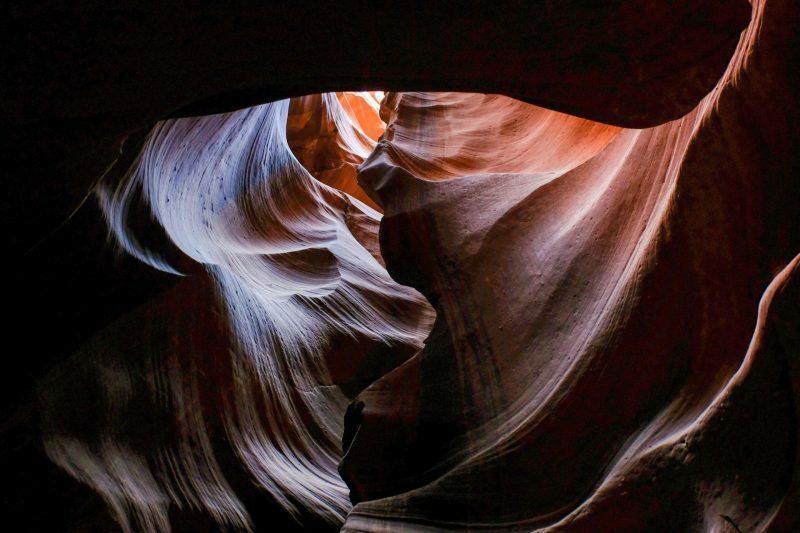 Antelope Canyon is a slot canyon that consists of two sections: Upper and Lower. Upper Antelope is a much easier hike (walk) whereas Lower involves a lot more climbing and squeezing in between tight slots. 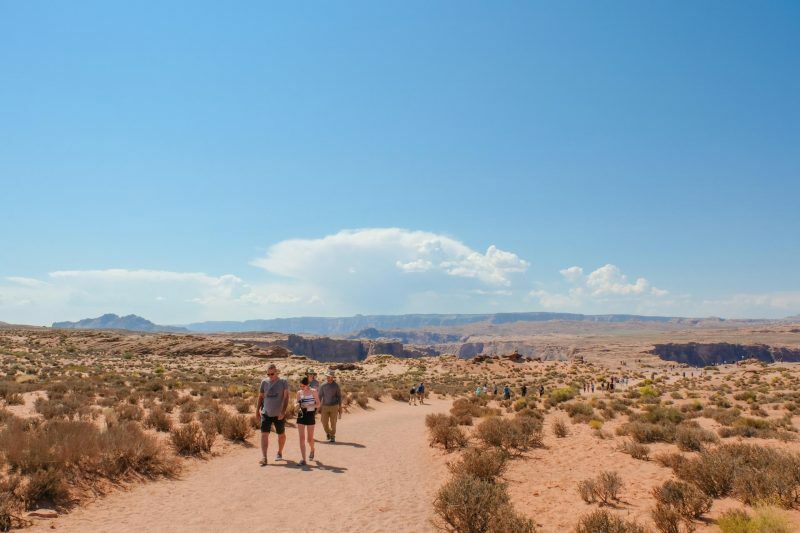 Regardless of which you choose to see, visits are only permitted with native Navajo tour guides. Our trip was a super last-minute one. We didn’t exactly start planning until say a week or two before. That said, most of the tours were sold out already. (Note that our visit was during the beginning of September.) 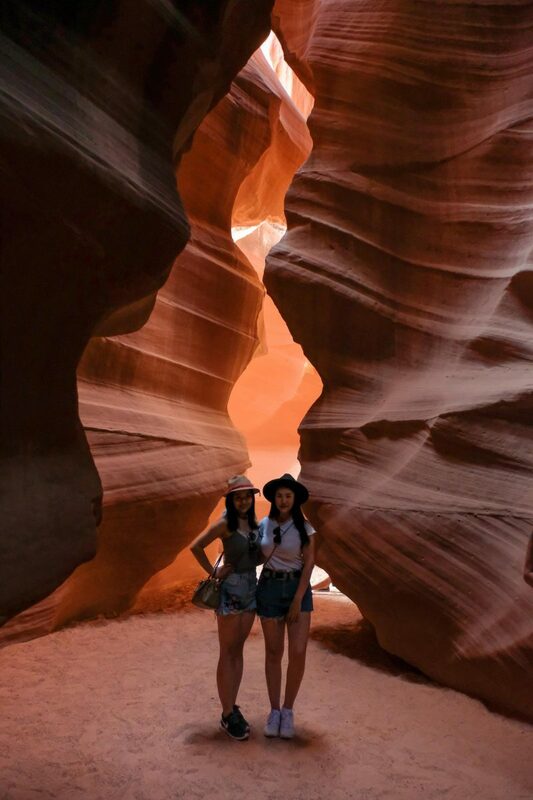 We basically had to go with our last and only option which was the 5:00PM Upper Antelope Scenic Tour with Antelope Slot Canyon Tours by Chief Tsosie. The tours are an hour and a half and $96 USD for two. We were to check-in at the tour office 30 minutes in advance and the embarrassing thing happened. After our visit to Horseshoe Bend, we stopped for some food. We had over an hour to kill so we took our time and slowly made our way to the tour office. En route there, we passed by the Navajo Generating Station power plant. As soon as we did, the clocks on our iPhones magically fast forwarded an hour. We were basically panicking and thought we missed our tour. So here we were hustling our asses there and when we finally arrived, the guy at the office told us that we’d missed it… Except he was kidding and explained that the power plant messes with the phones sometimes. Regardless, we were all good, still early. To reach the actual canyon, we had to take their special trucks. Now I forgot to time the ride, but I’d say it felt like a good 20-minute ride at least (one-way). I.e. the tour itself was only around 30-45 minutes. They call this the “dragon eye”. 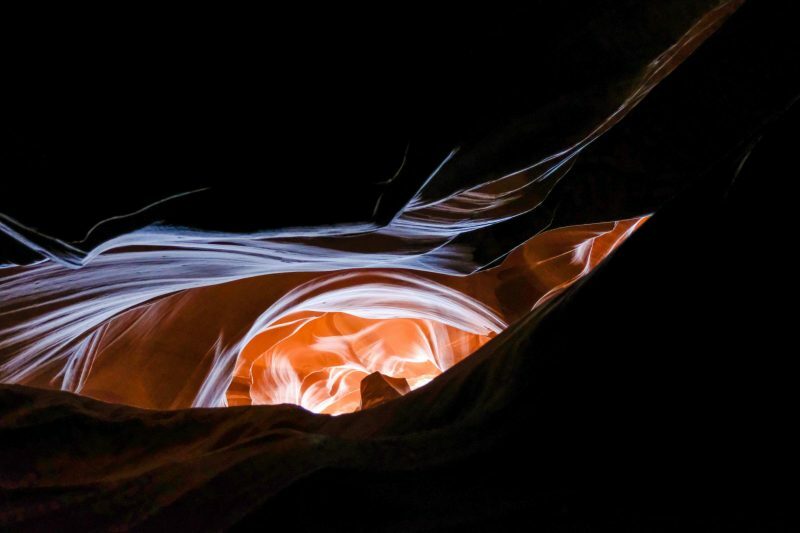 Before you make a comment about how blurry my shots are, I must say that of all the pictures I’d seen online, nobody seemed to mention the fact that it gets dark AF in the canyons. Maybe our timing was off but it was just so sooooo extremely difficult to capture a good photo down here. You might say oh but your photos aren’t that bad. Well there’s something called editing and boy did I crank up that exposure. Aside from having difficulties shooting in extreme low light, we also had a rough time getting pictures with absolutely no one in the background. Because Upper Antelope is wider and easier to navigate through, it’s the more popular one of the two. Don’t expect that you’ll be the only tour group around. Quick shot that we sneaked in with the rare occurrence of no one else round. If you’re not much of a Photoshop guru and wish to avoid the crowds, definitely book the earliest tour at 6:30AM if you can. Overall I found the tour to be very rushed. When checking in, we were assigned a number. It specified which truck we’d go on and each truck fit 12 passengers. 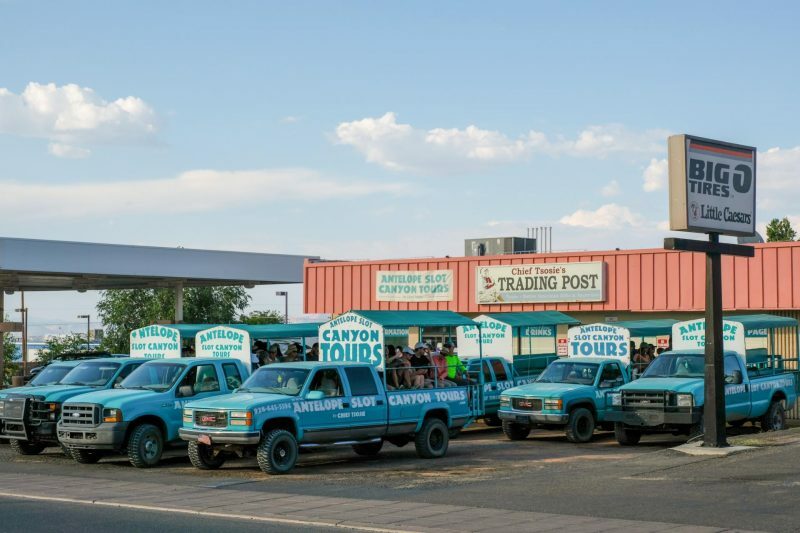 For the 5PM tour, there were at least 4-5 trucks in total. And that was just our tour company alone! Even though the truck we’d gone on was our tour “group” for the day, 12 was still quite a large number. I say that because the tour guide would show us a spot that was optimal for photos, but we would each only maybe get 3 seconds for a shot. Then we had to move out of the way for the rest of the other 11 folks. Note that there are special photo tours available as well but they are more expensive and you need a camera + a tripod. My friend isn’t big on photography so we opted for the cheaper scenic tour. If you are an avid landscape photographer, however, definitely consider the photography tours. Book a tour ASAP. We couldn’t help booking last-minute but as soon as you finalize your travel dates, book that tour! Pick the earliest tour possible to avoid crowds. OR plan your visit between 10AM – 12PM. 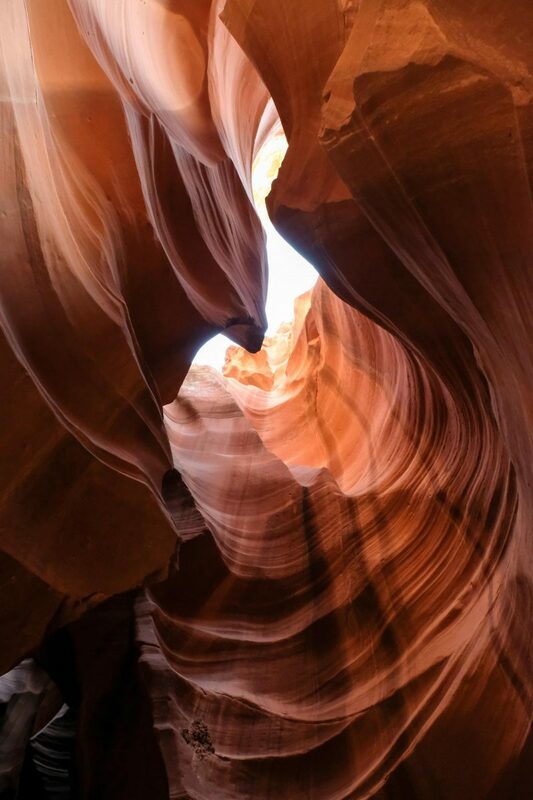 Another reason why most people choose to visit Upper Antelope is for the mesmerizing light beams that shine down from above and these can only be spotted in the morning to noon period. If you own a DSLR, practice taking photos in low light and get to know your camera if you haven’t already. 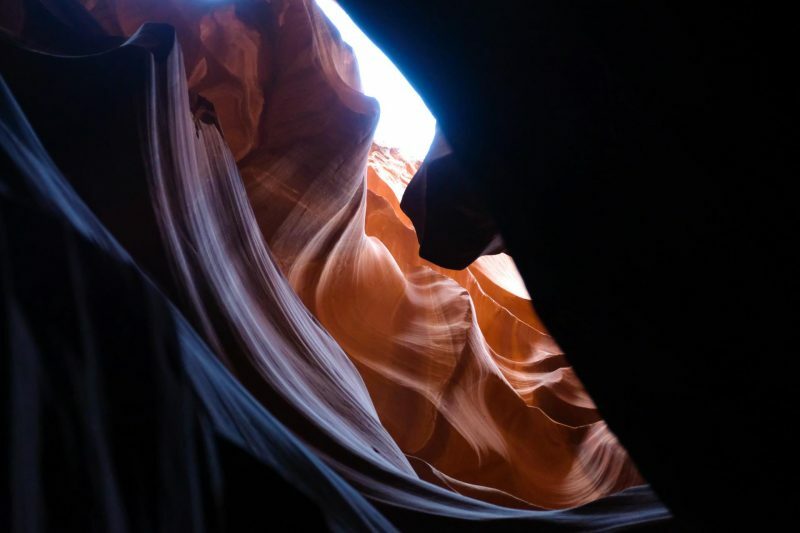 There will be very little time for you to play around with your settings during the tour so make sure you do some homework first on how to best photograph the Antelope Canyon. Consider doing a photography tour. Consider doing the Lower Antelope tour. It’s not as crowded and from the photos I’ve seen on the Internet, I actually much prefer the Lower one tbh. Check out Travel Pockets’ Lower tour experience. 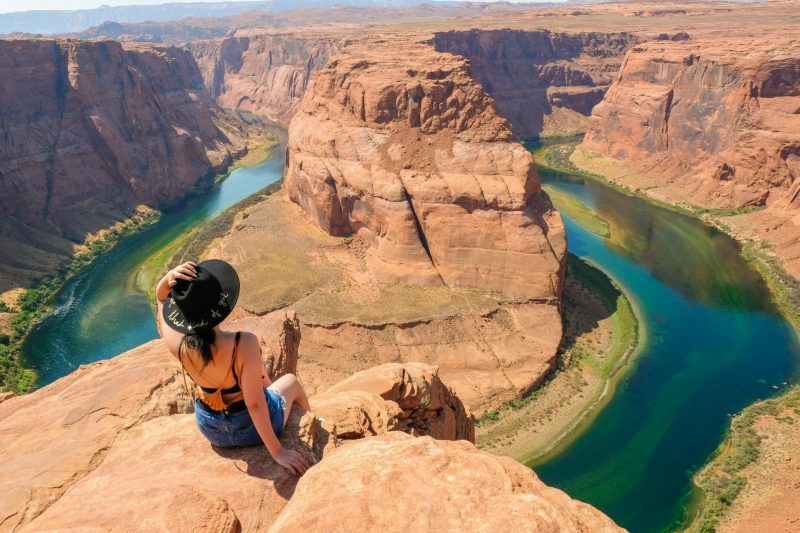 There you have it, mistakes we made and what you can do to ensure a much more enjoyable visit to two of the most popular Arizona attractions. For more on my American Southwest adventures, be sure to check out my Bryce Canyon post. 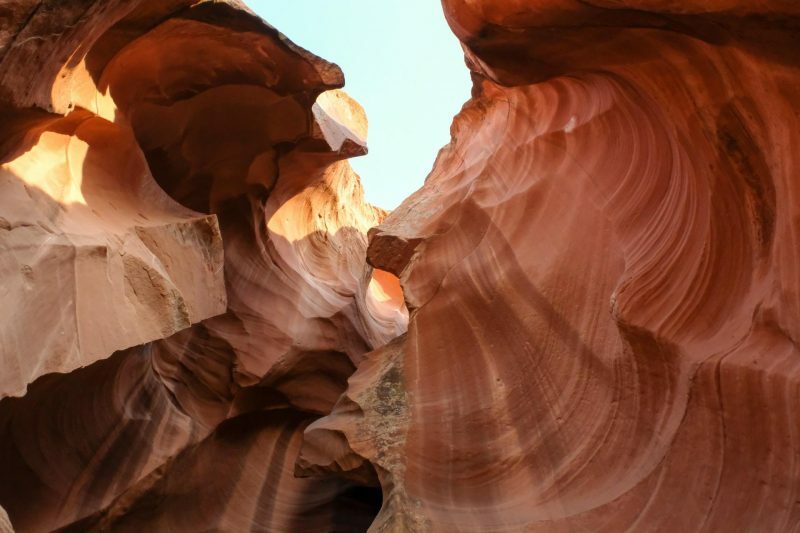 If you’re looking for other bucket list worthy destinations to add to your Arizona road trip itinerary, Jamie from The Daily Adventures of Me has an awesome guide to seeing Petrified Forest National Park and the Painted Desert. Don’t forget to sign up for newsletters in the sidebar on the right and I will see you next week for more American Southwest adventures! Next Post Day Trips from Las Vegas ❥ If you’re not too drunk to function. These pictures are gorgeous! Really want to visit here. Heard it gets crowded, but it’s so beautiful. Thanks for sharing! Thanks Amy! Hope you’ll get to visit someday!! This was helpful! We’re probably heading there later this fall. I think your photos are fantastic! It is always difficult taking a people free shot when there are loads of people on the same tour! 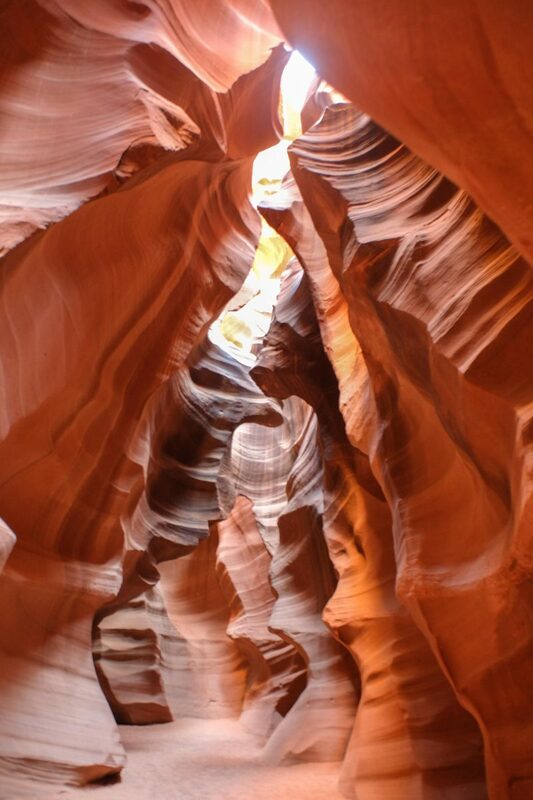 I would love to visit Antelope Canyon in the future looks like a great tour to do & I’ll bring water! Thanks so much Becky, cheers! Oh my gosh i can relate to this SO much! We went to Antelope Canyon and Horseshoe Bend in July. I forgot to bring water to the bend too and quite frankly i nearly died, I was a diva i will admit! 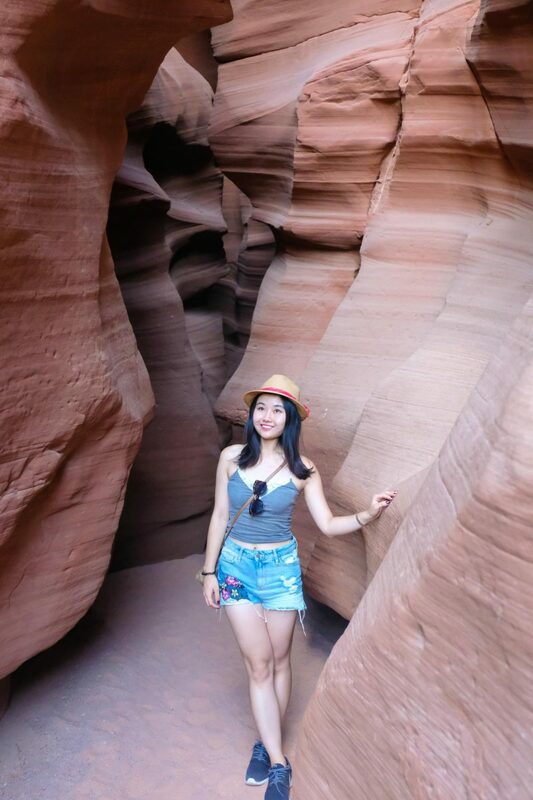 We didn’t book Antelope Canyon either and managed to get in on the last tour of the day to the lower canyon, we were so lucky! Now we tell everyone you must book in advance! Amazing photos and love your video! Love your hat as well haha. Great post! Im planning a trip here in november and was looking at doing the photography tour! I usually book things last minute but now im gonna book that tour asap!! Gahhh I’m so excited for you!!!!! Definitely definitely do the photography tour. Let me know if you have any other questions or need recommendations!! Holy crap I swear I was on the verge of having a heart attack! Antelope was like the number one thing I was looking forward to seeing. Not sure what I would’ve done if we missed it lol! All pictures are amazing. 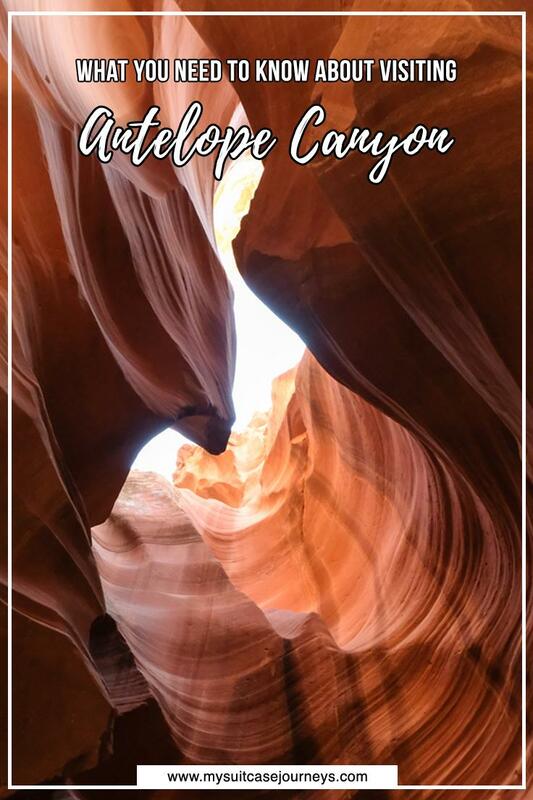 We missed visiting antelope canyons in last visit .. but this post will certainly help us better next time when we plan to visit. Thanks for sharing. It really is easy to underestimate how difficult the trek is with the heat. I, too, comes from a tropical country. But I probably would not survive the hike too. It is difficult and your tips can be really helpful! Hahaa glad I’m not the only one who underestimates the heat. Cheers dear, enjoy your weekend! Always ALWAYS take drinking water, wear a hat and sunscreen on a walk in hot climates! I’m from Australia so this goes without saying. Your photos are wonderful. It looks like a gorgeous place to visit. Smart. Australia’s high up on my bucket list so I’ll be sure to remember to bring a water bottle and hat when I visit!! Yeah, when traveling in the American Southwest, always overpack on the water. It gets so hot and is a climate unlike any other! I’m so sorry that you overheated! I’m glad you got your pictures though! Thanks Rachelle! It was a silly mistake to make but I’ll remember next time hahaa. This is so on my bucket list to go to! It’s so gorgeous there, wow. But you had great points about definitely bringing water and checking out your camera settings before your trip. It is ashame how touristy everything gets and rushed- no time to take in anything! My family and I went there 4 years ago and we loved both places. We didn’t even book the slot canyon tour first and we were lucky to get spaces at the 2 p.m. tour. But, hey! You managed to take pictures without people at the background. I don’t think we were that lucky. Oh what!? No way!!!!! When did you visit tho? I e-mailed asking to switch time is possible and we were put on a wait list and never heard back lol. 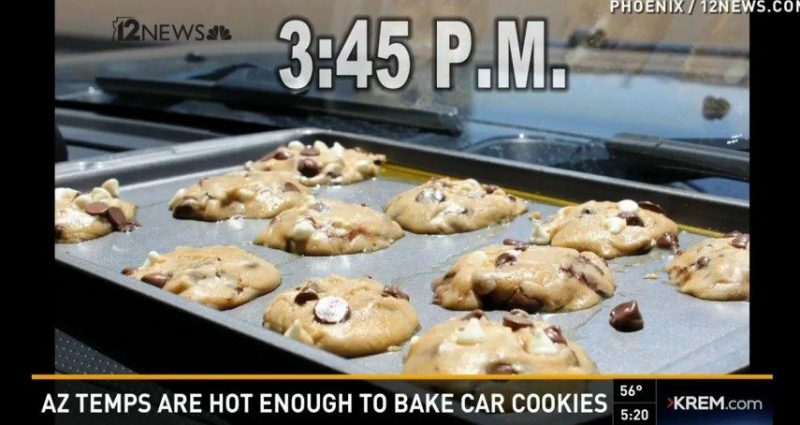 Actually …not sure if I have heard of locals baking cookies in their cars, but can imagine it would be hot! What a stunning area, your pictures are wonderful! 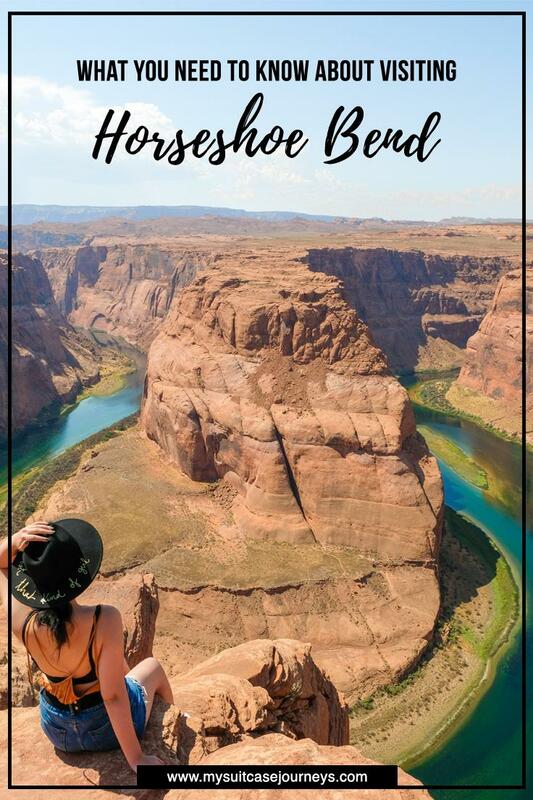 Need to get out to Arizona, a friend had been wanted to head there with her daughter too… I have heard Horseshoe Bend is the better area to visit. 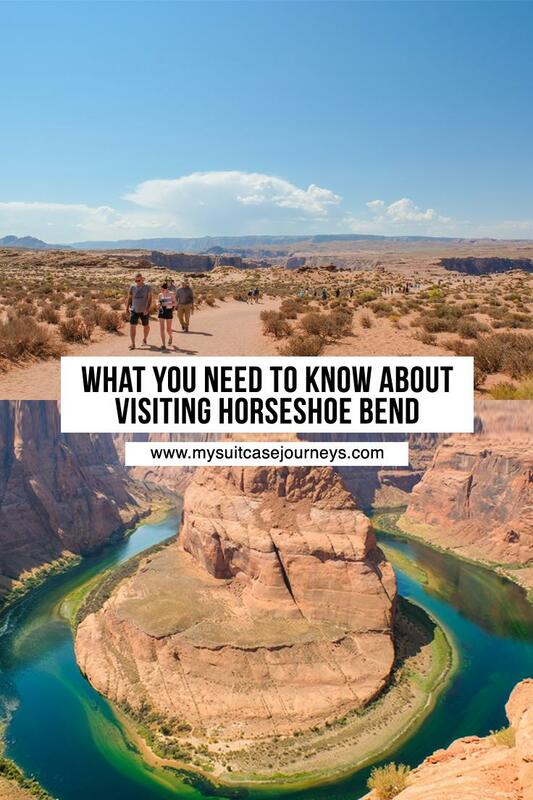 Horseshoe Bend is in the Page area, same with Antelope an there are a lot of other fun attractions to do as well so I highly recommend a visit there! Ah I did this two years ago and I absolutely loved it. Couldn’t agree more on the tour feeling so rushed though!! Definitely wish I had more time in Antelope! Hahaa oh trust me we had a big laugh about it after LOL! Hope you’ll get to visit soon and fingers crossed you won’t make the same mistake as us! Great advice and stunning shots! I’ve been to Arizona twice in the spring and it was already pretty steamy then— I can’t imagine what summer must be like! Seriously!? We heard the tour office talking about how it snows in the winter sometimes. The weather difference must be crazy! 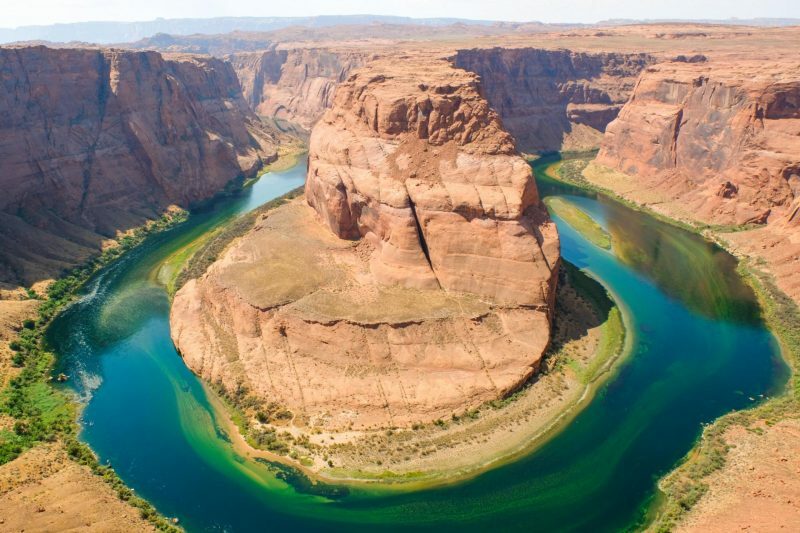 I don’t know how you were still able to get that awesome pic at the Horseshoe Bend despite the water dilemma. Good job on that! 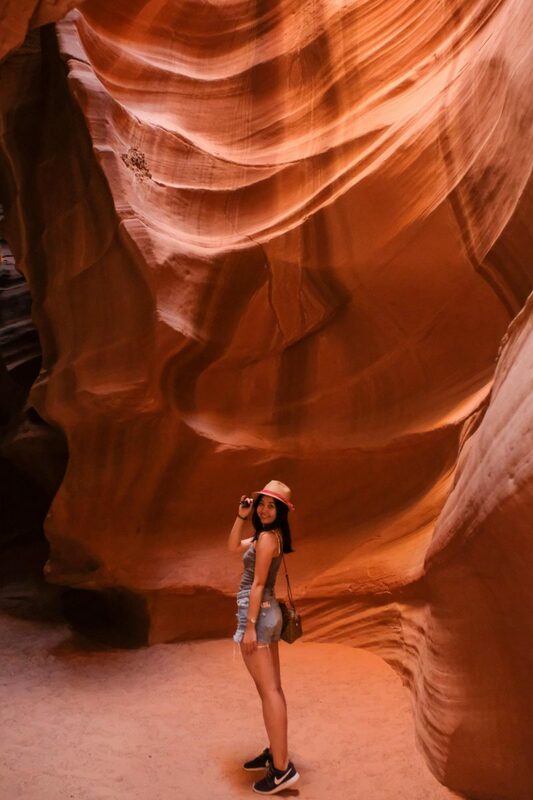 😉 Great tips by the way… Your photos at the Antelope Canyon looks amazing. 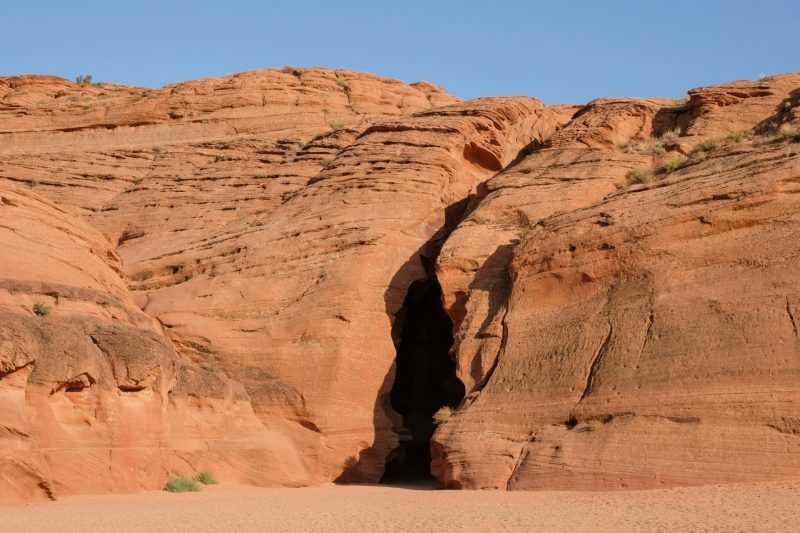 Does it trigger claustrophobia while exploring the lower canyon? Great tips, thank you! It is just unbelievably beautiful, I hope to go some day!! Wow! First things first, don’t forget the water. :- ) your photos are stunning even the ones shot in low light. I wonder if it can be done DIY, I’m still practicing photography so I usually take a lot of time to adjust my settings and compose my shots. If not, the Photography tour would be a better option. No problem Bruce! Not gonna lie I always shoot on Auto unless for waterfalls or fireworks so this really caught me off guard! Great photography in this post and throughout your whole blog. I can imagine the effort you could have put to capture these beautiful pictures, specially handling camera gear in the heat. Happy Travels. Specially Adventure Travels like these. Greetings from Sri Lanka. Wow, I love your photos and the video! What camera and editing program do you use? Thank you so much for sharing I love your page! Yeah, water is a must! I can’t believe you ditched your water in the car. Despite all that, you still got some amazing pictures. All your photos are simply beautiful. I’m not one for crowds as it is, so I’d take your suggestion and go earlier to avoid the crowds. Interesting that the power plant messed with your phones and that the reservation is on a different time zone. The pictures all look amazing and I would certainly book this tour (and bring water). Hahhaa glad to hear I inspired you to book a tour (and bring water LOL), Theresa! I enjoyed this post soo much. The pics were really good, seriously. Although I hate the heat and would always avoid scorching heat your trip made me want to see these places. The canyon looks amazing! Thanks so much Monica! I’m not crazy about the heat but if it means getting to see such beautiful sights like these, then it’s all work it!! Well they were definitely lessons well learnt ahaa and thanks dear! Have an awesome weekend! 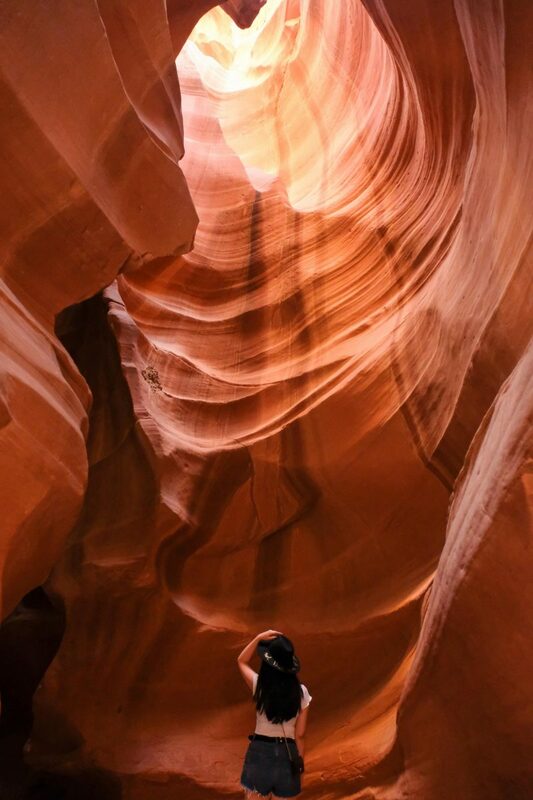 Stunning views of Antelope Canyon. Greatly enjoyed your pictorial post. 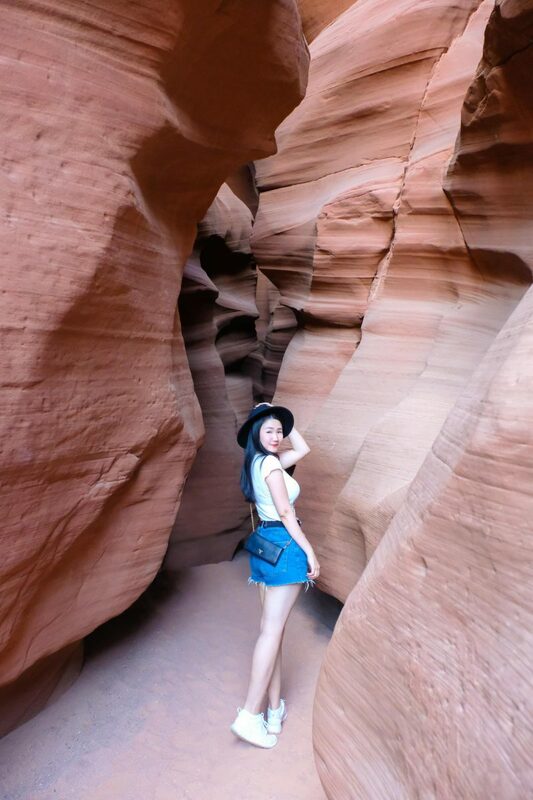 I myself relished my travel to Grand Canyons. Glad to hear! Enjoy your weekend, Indu!! Crank up the exposure – that really made me laugh! I love your real talk writing style and your amazing (edited) photos! I’m glad you decided on doing a no-BS post as I’ve seen some posts that sugar-coat the fudge out of an experience! Aaaaah! You forgot your water in the car! Eeek, must have been awful, esp after seeing how you could bake cookies in that heat. I felt the dry heat intense just South of Cali! Your photos are stunning by the way, and thanks for sharing these important tips. No problem! Hope you’ll get to visit soon!! Incredible photos! I agree I think I would go early too to avoid crowds! 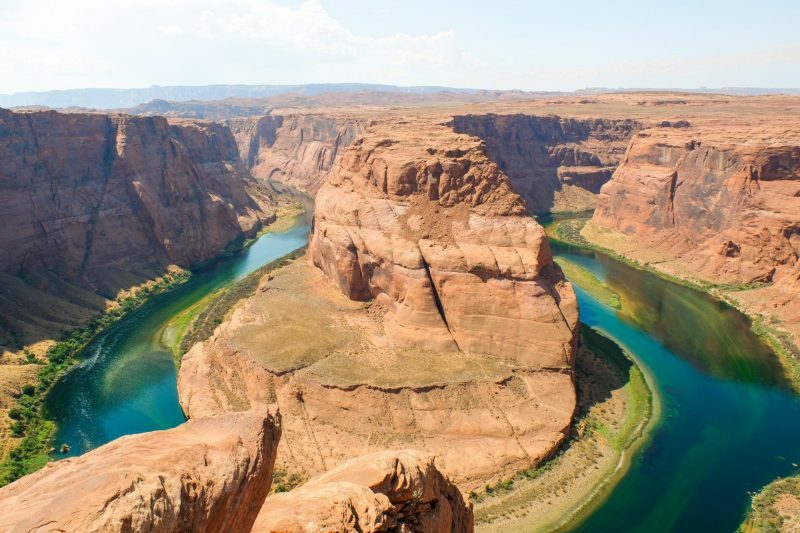 I m so sorry your trip to the two most beautiful destinations in Arizona didnt go very well but seems after all the trouble, you did manage to capture some very cool pictures of both the destinations. Good job with the photo editing, I shall keep all your tips in mind ( especially about shooting in dark) when I viist. Love your photos! 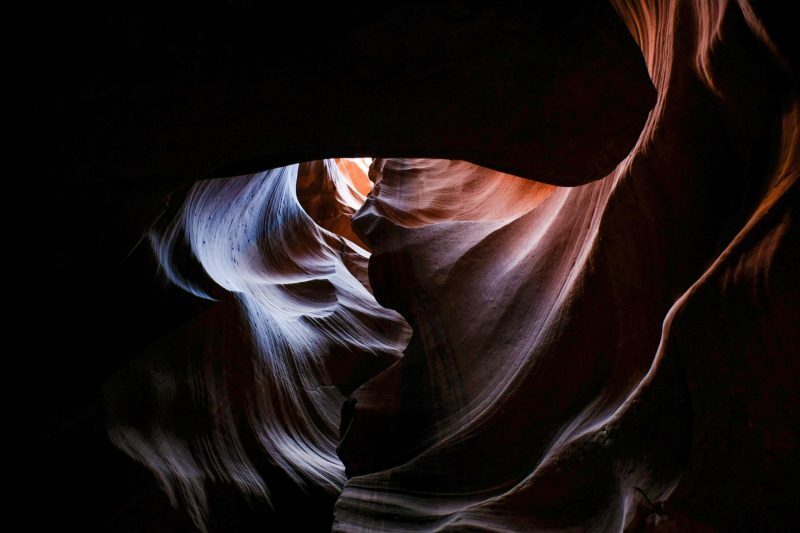 Great advice about Antelope Canyon as I’ve definitely got it on my bucket list. 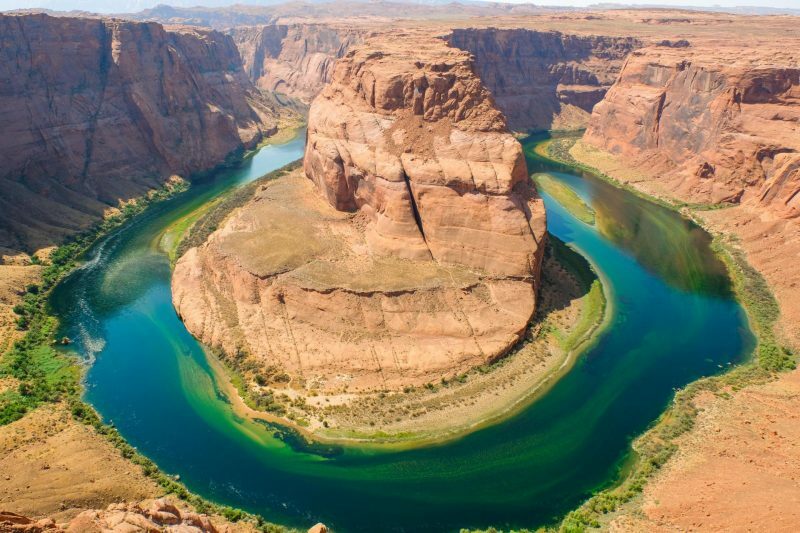 Horseshoe Bend is on my bucket list! Wow! Amazing pictures ! Thanks so much Petya!!! You’d definitely love it there! Aww thank you Jay! Glad to hear this has inspired you to want to visit!!! 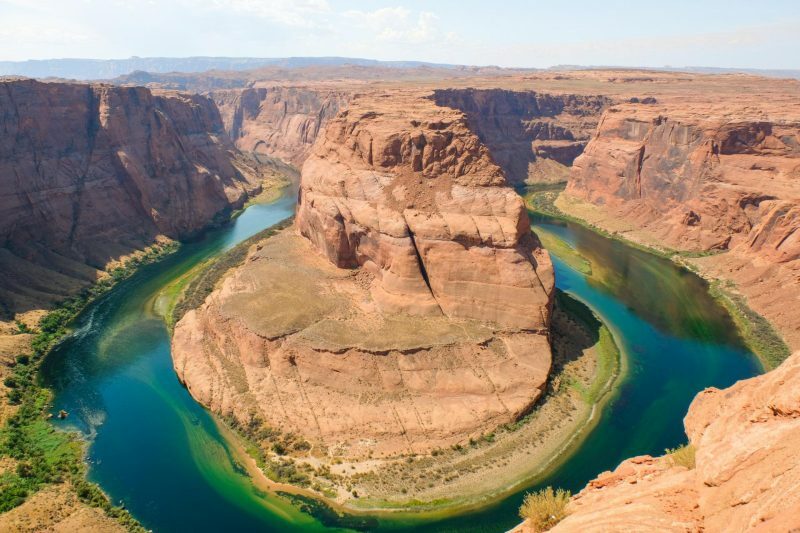 I really want to visit Horseshoe bend and the Antelope Canyon. Your pics are amazing! I didn’t know that there were different tours. Thanks for sharing your tips! Well, travelling is gaining experiences, and I make lots of mistakes even now… and I think the misadventures make the best stories. About the Antelope Canyon: I saw you got a pic shot through a hole facing the milkyway (IG) – that’s a blend or composite, right? Are you allowed to enter the site at night? Agreed! And book in advance because everyone will want to book the early tours hahahaa. and you are proper cute 🙂 hi from one traveler to another! Aww thanks Joanna! What can I say, years of Photoshopping pictures of myself hahahaa. (Just kidding.) Hope you’re already off to an amazing week dear!! great tips for visiting! I’m from California so I know how hot summer hikes can be- and you definitely always need lots of water! 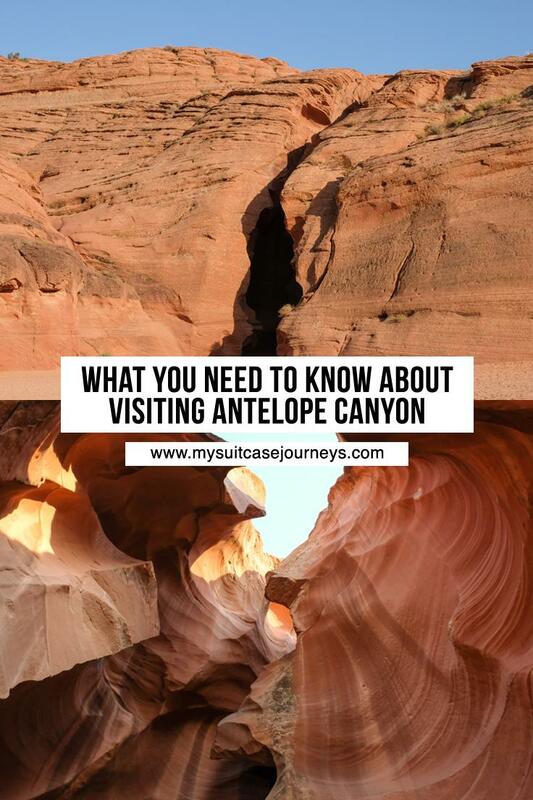 good to know the info on how soon to book antelope canyon. hope I get to visit soon! Oh no I’ve been to Cali and this was wayyyyyyy hotter lol! Can’t wait for you to visit and see these beauties yourself! roadtrips are awesome and this location is stunning. loved your video in this post, keep it up! 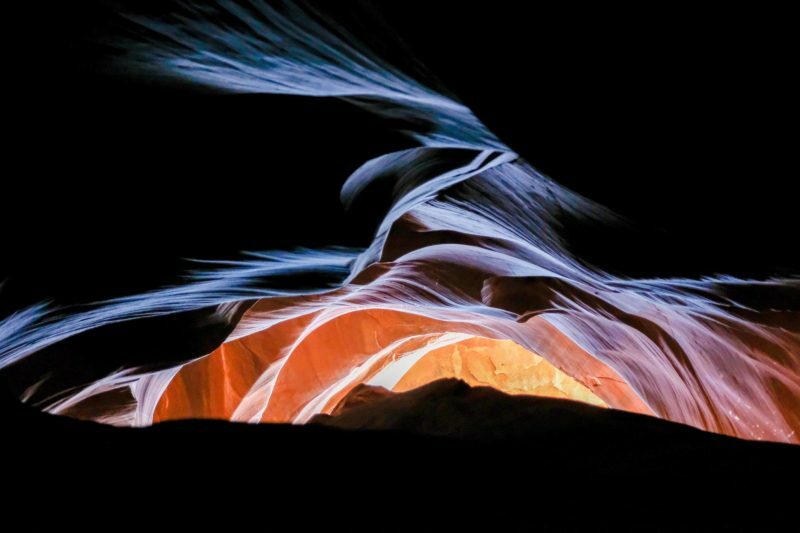 So many beautiful photos… I love both Antelope Canyon and Horseshoe bend. 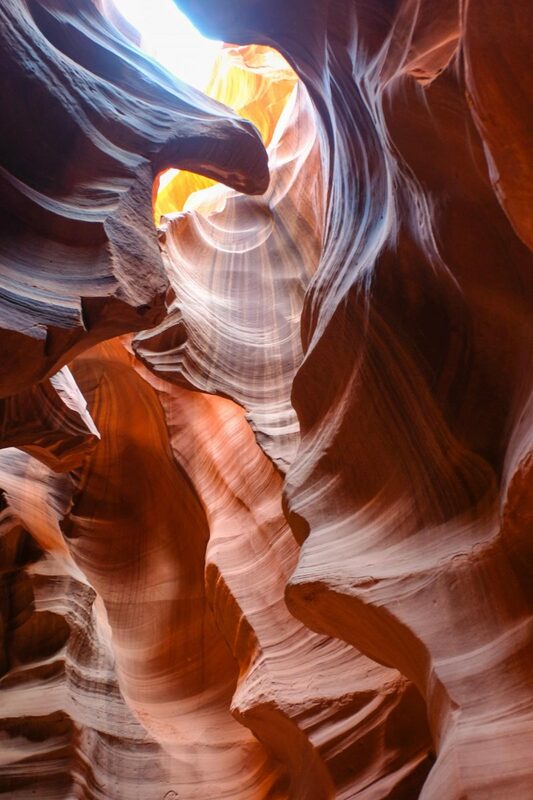 Antelope Canyon seems truly breathtaking and picturesque! 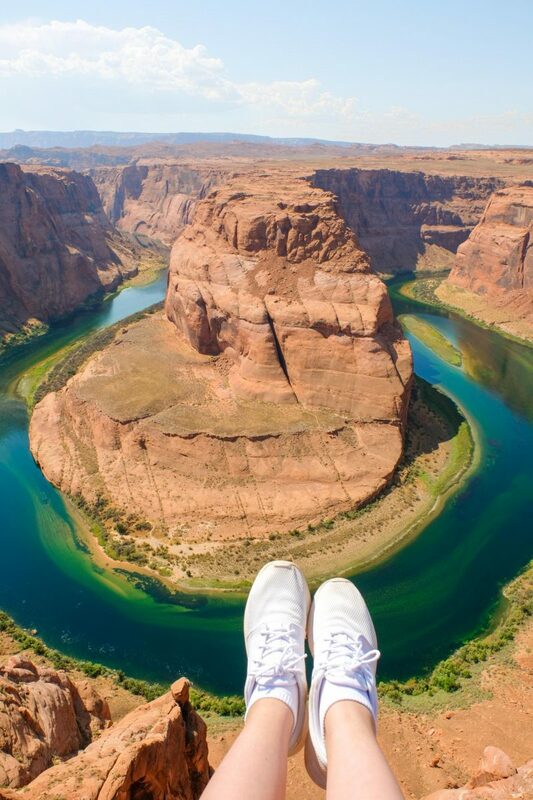 I am definitely adding Arizona to my bucket list! So many great tips: how to prepare, what happens if you go on a whim, prices, and how hard it is to take photos. I am definitely more prepared for a future trip to the canyons! i think your pictures are absolutely gorgeous too! good job with the editing…haha! 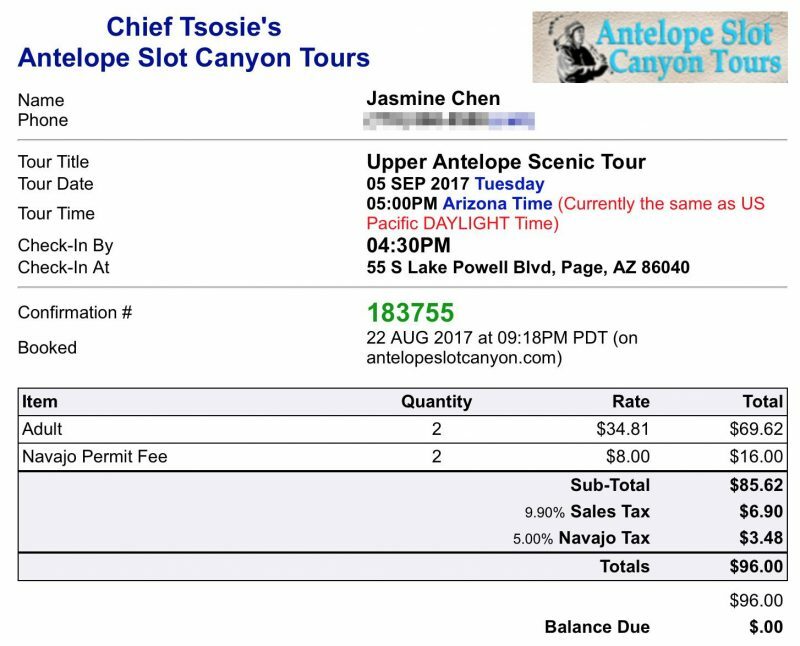 we are headed to Arizona in April and i did book the 1:00 Chief Tsosie upper antelope canyon tour — but it is $360 (seriously that is a TON of money for a 1.5 hour tour) for a family of five ….and that’s just the sightseeing tour not the photography tour. It looks like my cost for a lower antelope canyon tour will be HALF of that….do you think i should do that one instead. I’m super confused right now! Any advice for this midwestern mom would be greatly appreciated! Hi Pam! Oh my gosh I’m so sorry I’m just seeing your comment now. 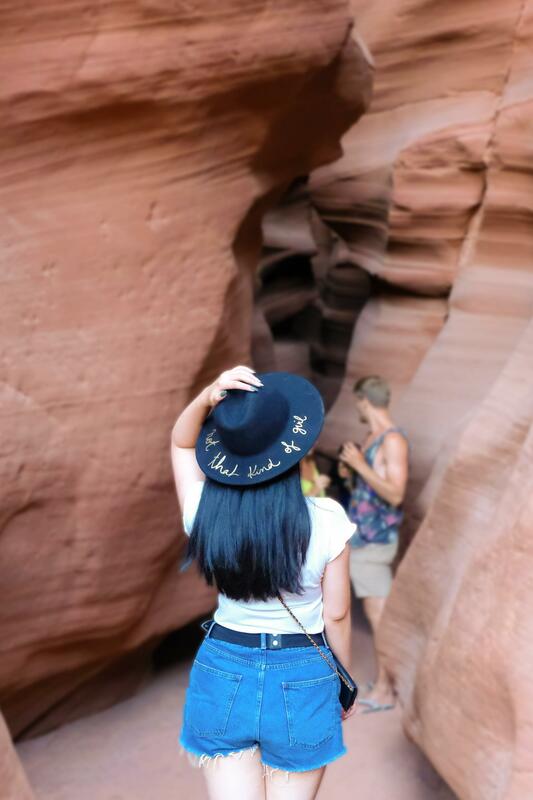 Not sure if you’ve embarked on your adventure yet or if it’s too late to change, but definitely try the Lower Canyon tour!!!!! I mean I personally did the Upper one so I can’t necessarily speak for the Lower, but the Upper was just sooooo crowded and $360 is insanely expensive considering the fact that you won’t even be inside the canyon for the entire 1.5 hour duration. Feel free to shoot me an e-mail at contact@mysuitcasejourneys.com if you have further questions. I’m much more responsive to e-mail hahaa.